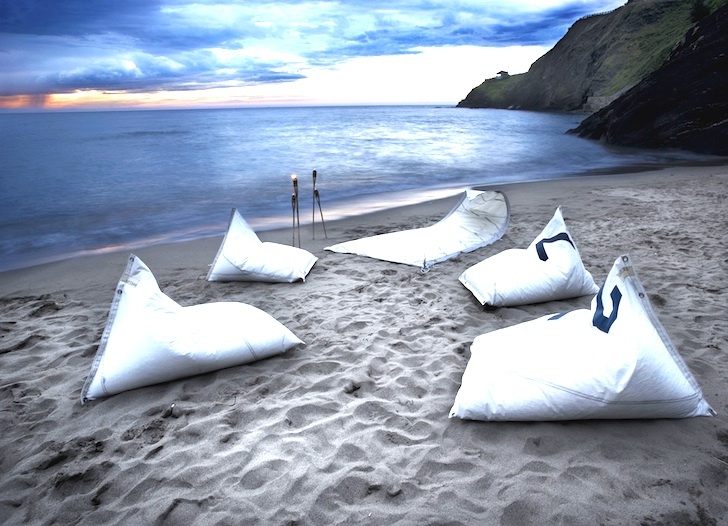 Summer may be coming to an end, but our longing for the sea and sand hit us with full force when we saw this gorgeous collection of Living Sails Furniture by Dvelas. Repurposed by hand from canvas no longer appropriate for use as sails, each piece is designed to evoke the spirit of the boats from whence they came, and the seas they once navigated. Each of the Living Sails pieces carries a tag that details its illustrious history, including what fabric was used to create the original sail, where it were originally manufactured, and for what boat model and sail type. Paying even further respect to the material’s original purpose, the Spanish designers manipulated each handcrafted piece with the same hand rigging techniques that the sailmakers would have used into fluid shapes that look just like unfurling waves. The Inhabiteam is no stranger to the sea. Earlier this year Brit played sailor with a social conscience when she traveled with the 5 Gyres team to hunt down plastic pollution in our oceans. So we especially love that instead of throwing away valuable fabric, Dvelas has given a host of now-defunct sails a bespoke new life that pays special allegiance to their first adventurous incarnation. 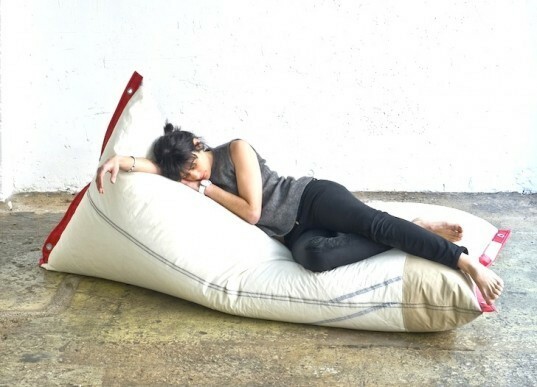 Doesn't this wonderful piece from the Genois line look totally comfortable?